Wafia’s “I’m Good” isn’t only a fun, summery pop song; it is also an empowering, self-love anthem that can teach most how good it feels to escape from something toxic. “I’m Good” is the kind of song you’d blast in a teal-coloured, vintage convertible car with your friends in the California summer while you’re driving past the beach, wind in your hair, no care in the world. In the song, Wafia confronts an ex and finds her final moments of closure, getting rid of a toxic relationship and learning to put herself first. A funky bass is paired with dramatically fun strings and Wafia displays her incredible vocal range in moments of strength and vulnerability coated in attitude and sass. All these elements come together and turn “I’m Good” into the perfect, end-of-summer pop anthem. Holding nothing back, Wafia starts the song by telling her story and confronting her ex about their past. She’s shattering illusions, making it clear she was “young” and “dumb” when the relationship started, and that her ex-lover is absolutely nothing like they seem to be. Instead, she paints them as someone who’s vain and uninteresting. She sounds like she’s talking more than singing, adding a more serious tone to the message she’s trying to convey in the verse: the relationship is done, she’s much better off, case closed. Wafia starts singing on the pre-chorus, and her voice expresses happiness, relief, and empowerment when she says she’s finally reclaimed herself and her identity after the relationship ended. She’s finally able to move on, and is a much better person now than she was back then. It’s the sound of liberation and freedom, and Wafia’s take on it is perfect. By the end of the pre-chorus, she’s talking again, being extremely honest and sassy and making it clear that her ex is history. I really don’t to care. I think I just quit. And in the chorus, the song explodes in joy. In recognising her bad moments in the past, Wafia shows that she isn’t only happy, she’s self-aware, mature, and managed to make the most out of a bad experience. It’s in the chorus where we are finally able to see the extent of Wafia’s personal growth, recognising she’s now making healthy choices and putting herself first. Her voice sounds dreamy and light, reflecting her change in spirit after the relationship ended. On the second verse, Wafia brings the situation to the present day, telling her ex exactly what to expect if they didn’t get the message and tries to mess with her again. She’s strong and putting her foot down, and admits that even though she occasionally misses her ex, she’s putting herself first and won’t go back down that road since nothing good will come of it. Here she shows us exactly how to put a toxic situation behind you, and is happy to say that that is in her past and will stay there. The dramatic strings that come in before the bridge suggest an even bigger increase in confidence. The words “I’m good” are probably used everyday by most people in casual conversation, but there’s something about hearing someone saying it and actually meaning and believing it that gives this short phrase a whole new significance. Every time Wafia sings the words “I’m good”, you can feel the happiness in her voice, almost like she’s transporting you to this good place with her, and not only do you instantly believe her, you find yourself cheering for her and her happiness. 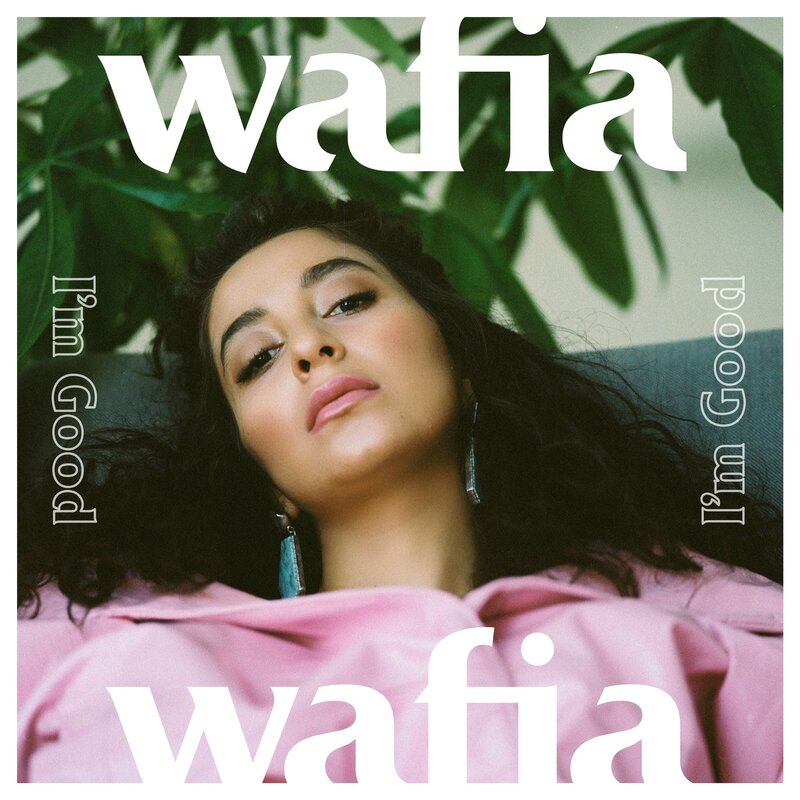 On “I’m Good”, Wafia echoes the sentiment most people feel when they go through a difficult experience and manage to come out on the other side, once you look back you can’t help but be proud of yourself and the challenges you overcame. And this is the energy Wafia channels in the song, one of personal growth, self-love, and learning to congratulate yourself when you deserve a pat on the back. With “I’m Good” Wafia hasn’t only created a fun, summery pop song, she’s also crafted an empowering, self-love anthem that can teach most how good it feels to escape from something toxic.